Auswide Bank (formerly Wide Bay Australia) has over 50 years of history serving the sunshine state. Auswide has over 20 branches up and down the Queensland coast. Auswide has 8 personal loan products catering to all types of loan purposes. Auswide personal loan products include, secured and unsecured personal loans, fixed and variable rate personal loans, loans for home improvement, wedding, cars and general purpose. Negatives include the $10 monthly fee and the $175 application fee. Auswide Personal loan approval time vary; some applications will be approved on the same day. If they require additional information, it may take 2 to 5 business days. Featured of the renovation loan include, a specially discounted fixed or variable interest rates, low establishment and monthly account fee, the ability to pay off your loan sooner with additional repayments and more. Comparison rate based on a $30,000 loan over 5 years. WARNING: This comparison rate applies to the example or examples given. Different amounts and terms will result in different comparison rates. 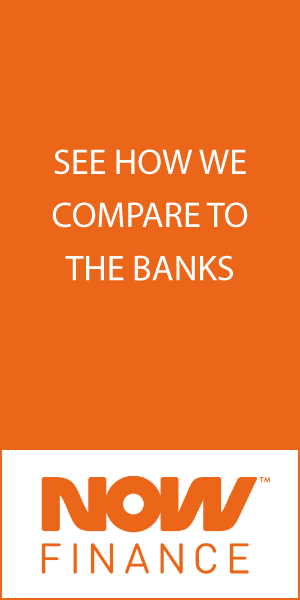 Costs such as redraw fees or costs and savings such as fee waivers are not included in the comparison rate but may influence the cost of the loan. A monthly repayment frequency and a term of 5 years have been used to calculate our comparison rate. An Auswide Bank Personal Loan could help you finance home renovations, a new boat, a holiday, a wedding, a motor home, caravan or trailer  or any other worthwhile purpose. If you’re an existing Auswide customer, you may have your application approved and funded on the same day. For more complex applications approval times vary between 2 and 5 working days. Do you have an Auswide personal loans calculator? Yes. View the Auswide Personal Loans calculator. If you’d like to apply online for an Auswide personal loan, visit Auswide’s website by clicking here. Be sure to read the terms and conditions as well as the Product Disclosure Statement. There are many additional factors Auswide consider when accessing your application, but the above are the most important. If you feel like you may not meet their eligibility criteria, it may be best to save! If you have already applied for an Auswide personal loan, you can check your application status by calling 1300 138 831, 7.00am to 7.00pm EST, Monday to Friday. You can borrow between $3,000 and $75,000. Terms vary between 1 year and 5 years. Auswide allow weekly, fortnightly or monthly repayment. Auswide does not have a redraw facility.